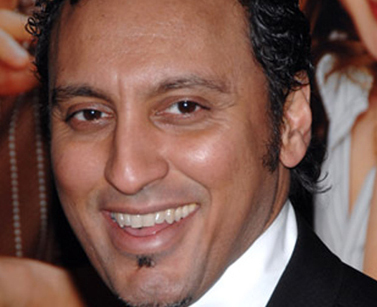 Dan Kaufman at 30Ninjas.com just posted the first of a two part interview with Aasif Mandvi. Mandvi goes into detail about his past knowledge of Avatar: The Last Airbender, his experience with acting with “nothing”, and the similarities between theatric off-stage events and working with a green screen. He also talks about the rigorous martial arts training necessary to become Admiral Zhao. The best part was when Aasif and Dan talked about the shakesperian quality of the story, and how Aasif developed his own interpretation of Zhao. DAN: Now, I get the sense that this whole project is kind of new territory for a lot of people involved. I mean, this is Night’s first adaptation of material that’s not his own. Aside from Spider-Man 2, this is your first huge, summer, tentpole action film. This is your first immersion into CGI, your first bad guy role…it’s kind of like dad is giving you the keys to the car for the first time. DAN: Was all this exciting? Intimidating? DAN: You act with nothing. AASIF: I mean, in the theater, you’re standing there, and supposedly there’s a battle going on offstage, and you’re looking at this battle, and you’re going, “Ah-ha!” So it wasn’t that unbelievably weird. It was sort of like doing a play. You are currently browsing the archives for the Aasif Mandvi category.